The 78-year-old Hallelujah singer returned to the stage in 2008 after a 15-year break, and hasn't stopped since. 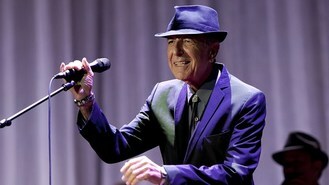 Leonard - who played a series of concerts in London this summer - will perform at London's O2 arena on Friday June 21, 2013. Tickets go on sale at 9am on Friday December 14 through www.aeglive.co.uk. The Canadian crooner has experienced financial troubles since he discovered his manager Kelley Lynch had embezzled millions of dollars of his money, including his retirement funds. Lynch was jailed earlier this year.